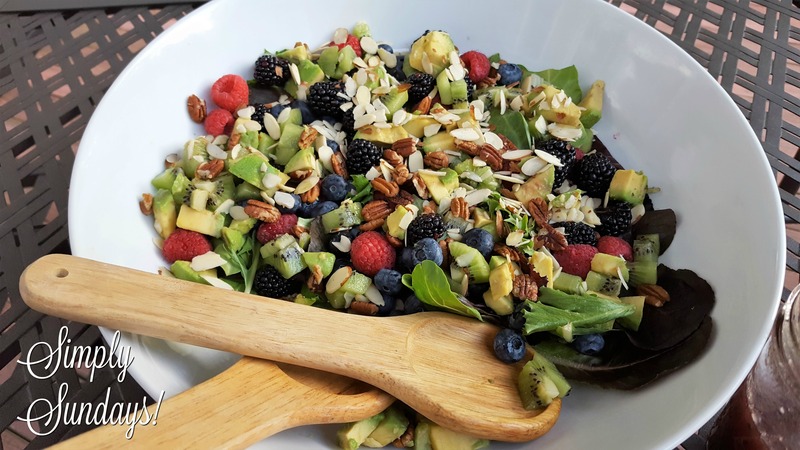 Summer Berry Salad – Simply Sundays! Sweet Summer berries, creamy avocados and the crunch of nuts… this salad is the bomb! A flavor bomb! It’s super easy to assemble… only very little chopping and prep work. My kind of salad! Fun fact… an avocado is a fruit and actually considered a large berry with one seed. You learn a new thing every day!